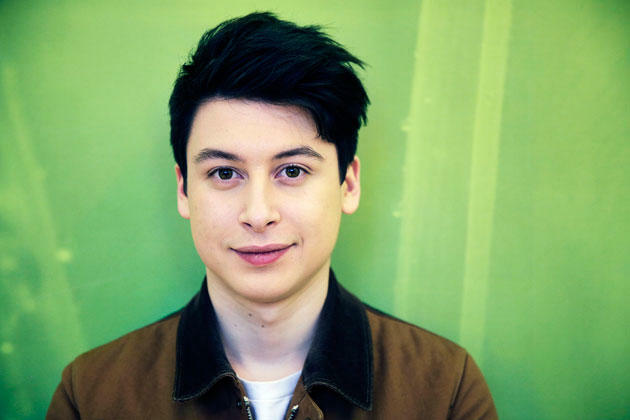 If you didn’t know Nick D’Aloisio, he might seem like any other teen — he goes to school, has cool hair and contends with protective, yet proud parents. But he has become something of a legend lately, a bona fide geek idol for every youngster with digital dreams. The young Brit runs with celebrities. He appears all over television and the Internet. And he gets tech luminaries and venture capitalists to slobber all over themselves to wheel and deal with him. Oh, and there’s this: Yahoo! gave D’Aloisio $30 million for his Summly news app and a position in the company. Not shabby at all for a 17-year-old. Here’s more about the wunderkind. Nick was born in 1995 in London to Australian ex-pats. He got his first computer at age 9, and used that to make movies with programs like Final Cut Pro. A self-taught programmer, Nick learned how to code using “C for Dummies” and online videos. He created his first app in 2008 at age 12, and had to submit it under his father’s name, since he was four years too young to meet the App Store’s minimum age of 16. After that, he developed a new app every summer break until 2011, when the then-15-year-old developed Trimit, the forerunner to Summly. Nick is the youngest entrepreneur who has ever scored VC funding, taking the title away from Kiip founder Brian Wong, who had nabbed it at age 21. He has struck deals for hundreds of thousands of dollars with the likes of Stephen Fry, Ashton Kutcher, Yoko Ono, Zynga founder Mark Pincus, billionaire Li Ka-Shing, and media magnate Rupert Murdoch. Trimit was renamed and relaunched in the Apple App Store in December 2011 as Summly. Just two years later, Yahoo! would pay $30 million dollars for it. Many parents would have been proud of the teen, even before he reached tech superstardom. He’s an industrious student with an academic scholarship who’s finishing up his final year and a half at the prestigious King’s College School in Wimbledon. He is as much a modern design nerd as a tech geek. 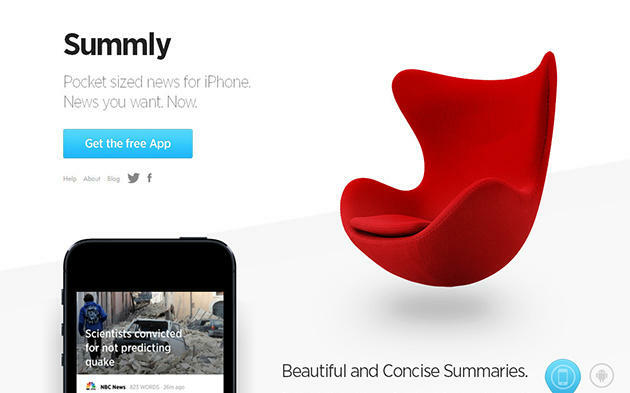 Just check out Summly’s page for proof: It features Arne Jacobsen’s landmark midcentury modern chair, The Egg. Fun fact: Nick is actually only one year younger than Yahoo! itself, which was incorporated in 1995, making it 18. Nick knows that his Yahoo!-Summly deal is one part of the company’s larger push for mobile, and stated as much in a letter to Summly users. The teen is a rather eloquent communicator, whose thoughtfully considered style suggests a wisdom and maturity that exceeds his years. Nick has been on fire lately, and we wish him nothing but the best. He may be “just a kid,” but he exemplifies everything about the democratization of tech opportunities today and the immense potential for success for anyone who’s intelligent, creative and hard-working — no matter what the age.